Join me, As I check out the 1500 watt Bluetooth Speaker from Blackweb. 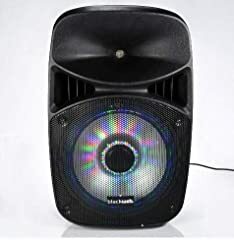 With a 15 inch woofer, I expected it to be loud. Wow! Check out the video and see what you think. That tweetrr is actually called a horn.